Ciara O'Hara | Journey, drypoint. 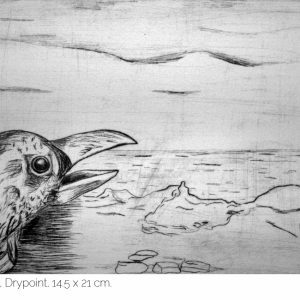 Home / Original Prints / Journey, drypoint. 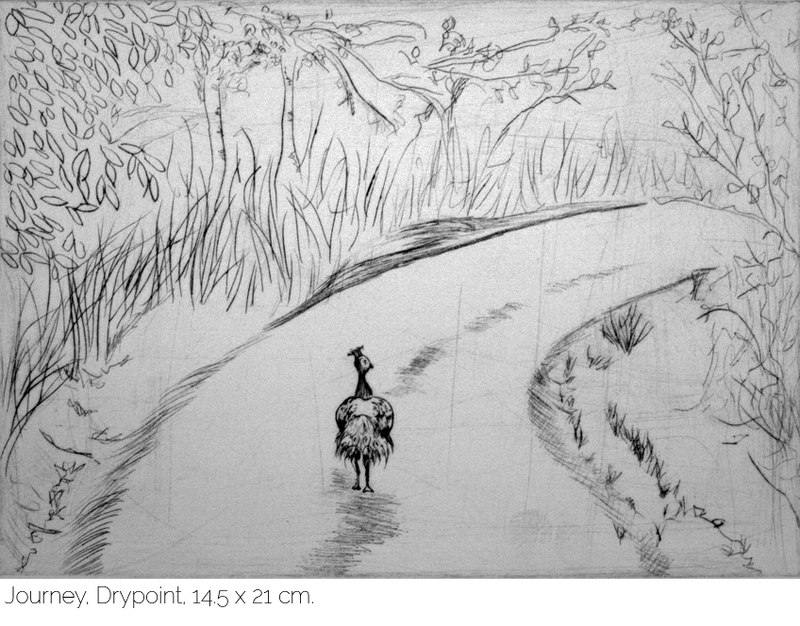 ‘Journey’ is a hand made and hand printed drypoint on paper. It is a limited edition of only 10 copies. It was inspired by a trip to Yala National Park in Sri Lanka, it depicts a peacock in its natural surroundings. The plate size of the image in 14.5 x 21 cm with a boarder surrounding it. It is available unframed and framed (please send me a message to purchase a framed copy). 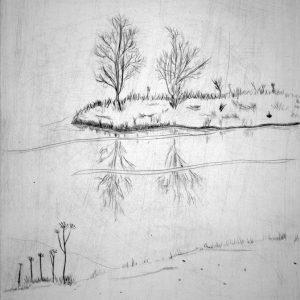 A drypoint is made my scratching an image directly onto a printing plate. This is then inked up, and the ink wiped from the surface leaving only the ink in the scratched line. A hand operated printing press is then used to transfer the line and tone onto hand made cotton paper. 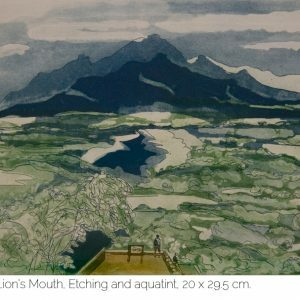 From the Lion’s Mouth, etching and aquatint. 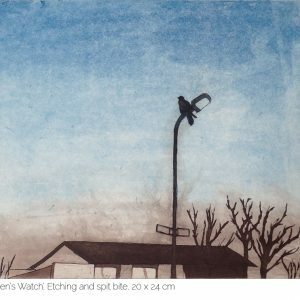 Raven’s Watch, etching and aquatint.